How to Simplify Your iPhone’s System? Jailbreak allows you to make your iDevice more personalized in all aspects, it can help free up more iDevice’ storage space also. For iOS user who owns 16GB or 32GB iDevice, you’re able to simplify iDevice’s system after jailbreaking if your iDevice’s storage space is insufficient. This tutorial aims to show you how to simplify your iPhone’s system, the method below supports jailbroken iDevice running on iOS 9.3.3-iOS 10.2. If you haven’t jailbroken your iDevice, you may take tutorials below as reference. 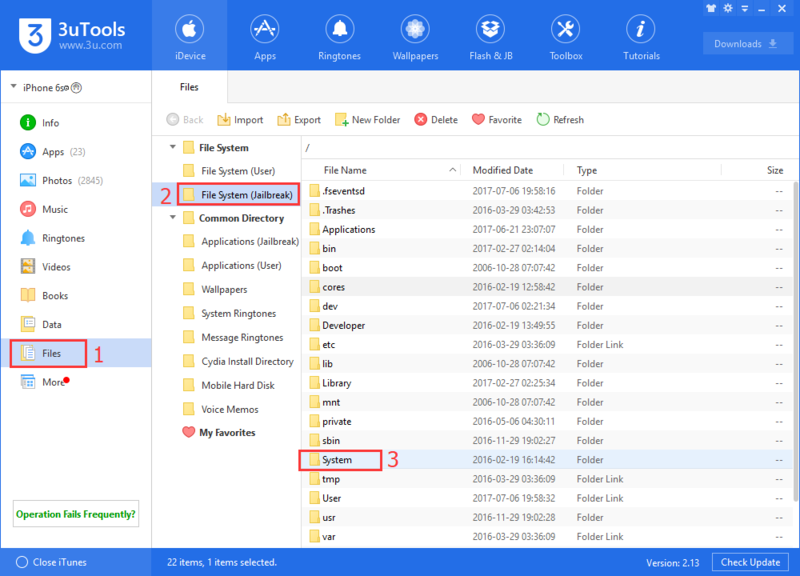 How to Jailbreak iOS 9.2 - 9.3.3 Using 3uTools? How to Jailbreak iOS 10.0 - 10.2 Using 3uTools? Step1: Download and install the latest 3uTools on your PC. Connect your iDevice to PC using the USB cable. Step2: After it’s connected, click Files -> File System (Jailbreak) ->System. Step3: Continue to click Library -> Audio -> UISounds. You can delete the least frequently used ringtones and iDevice’s default wallpapers. The other thing you have to notice is that don’t delete any language. Simplify the iOS system language and wallpaper will undoubtedly affect the usage of your iDevice, but simplify system’s sounds and other things do not interfere with the usage of iDevice can release a lot of storage space for iPhone users. 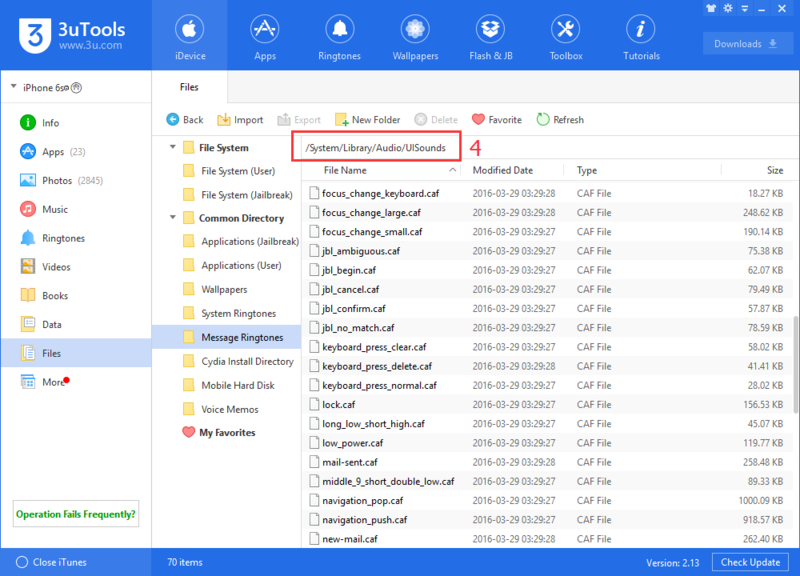 In addition, 3uTools can help you get more storage space by cleaning iDevice’s garbage. How to Clean iPhone Garbage Using 3uTools?